Jane Lewis > Why Choose a Jane Lewis Carer? Choosing a carer for yourself or a family member can be quite a daunting task, but it does not have to be. Jane Lewis can help you choose the right carer for you. Jane Lewis is an independent, family-run business with over 30 years experience in healthcare. Our roots are firmly in the local communities that we serve and we pride ourselves in really getting to know our client and carers, allowing us to perfectly match a carer to your needs. We strive to find a carer who shares your interests and matches your personality, and we will arrange a meet-and-greet so that you can make the final choice about who you would like to live with you. 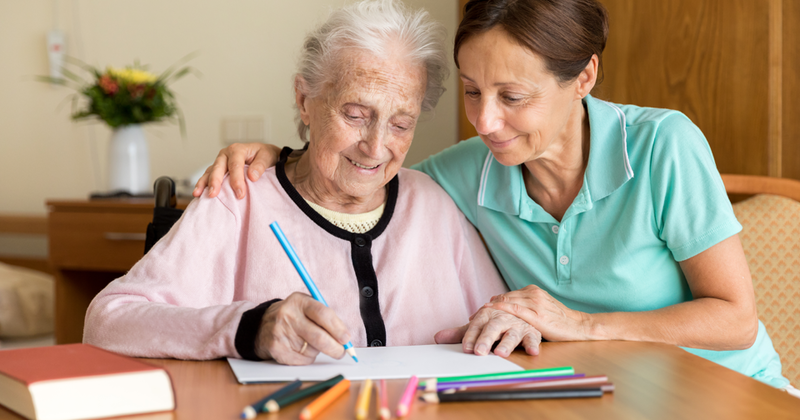 We can always ensure dignity, respect and peace of mind for your loved ones, combining high standards with a safe, effective, caring and personalised service. Charlotte has worked for Jane Lewis for the past 12 months. Charlotte initially came to us to work part-time flexible hours alongside her full-time job. She loved the work she was offered so much that she now works for us full time. During her time with us Charlotte has undertaken a variety of placements and has vast knowledge and experience of supporting younger adults with Learning disabilities and mental health, as well as working with older adults in the community. During her spare time Charlotte enjoys going to the gym and is a swimming teacher. She is currently training to compete in a power-lifting competition next year. Charlotte also runs a girl guide group and has a full warrant plus overnight warrant. Charlotte loves to cook and her favourite Meal is Sunday Roast. Nikki is a 25-year-old lady who has worked for Jane Lewis as a support worker since November 2016. She has 2 children, aged 2 and 7. Nikki enjoys her holidays and her favourite place to spend time with her family is the quiet and tranquil surroundings of Scotland. Nikki started her career in care when she was 14 and was offered the opportunity to complete a BTEC level 2 in H&SC (NVQ 2 equivalent). After successfully completing this course she went on to work in a nursing home which specialised in dementia care. Nikki enjoyed her experience in this home so much she went on to be a home trainer, and then on to be an apprenticeship assessor. Since working for Jane Lewis, Nikki has up-skilled her knowledge and practise by working across a variety of settings. This has enabled her to work with a range of individuals, from those who have minimal care needs to those who are fully dependent. Nikki is currently undergoing her Access to Nursing course and hopefully, in the very near future, will go on to complete her nursing degree. In her spare time Nikki likes to spend quality time with her family on day trips out, and cooking up her favourite meal of spaghetti bolognaise.